Xanthippe’s last puzzle was the first mathematical of 2012, all about number plates and the American states. 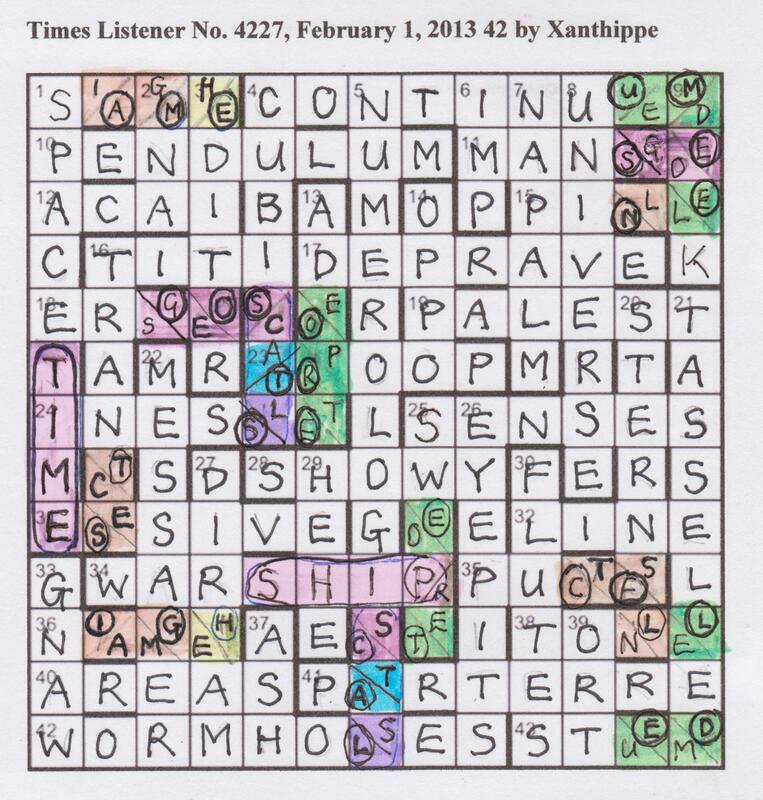 It’s a couple of weeks until our first mathematical of 2013, so this is standard Xanthippe crossword fare. There are two unclued entires, 8dn and 42ac which somehow affect material in eight pairs of answers. “Material” sounded a bit vague, if not ominous. 1ac was an easy reversal of HG IS to give SIGH, neatly planting the idea that 2dn Man forged Greek money began with a G; in fact it would turn out to be a simple anagram, MNA (after a transformation of 1ac). 11ac Stale talk of fruit among bananas (5) was an unuaual clue. I solved it from among bananas leading to MANGO, but, as well as the definition fruit there was also a second slice of wordplay in MANG (old word for talk) + O (of). 24ac Living obtainable from businesses (6, two words) was a straightforward hidden – IN ESSE. However, this didn’t help much with 31ac Denoting a state of being 4 24 (6), and it took some time to realise that only 24 related to a clue answer, the final wordplay reading IV (four) in ESSE, ie ESSIVE. We were certainly getting some innovative clues here. 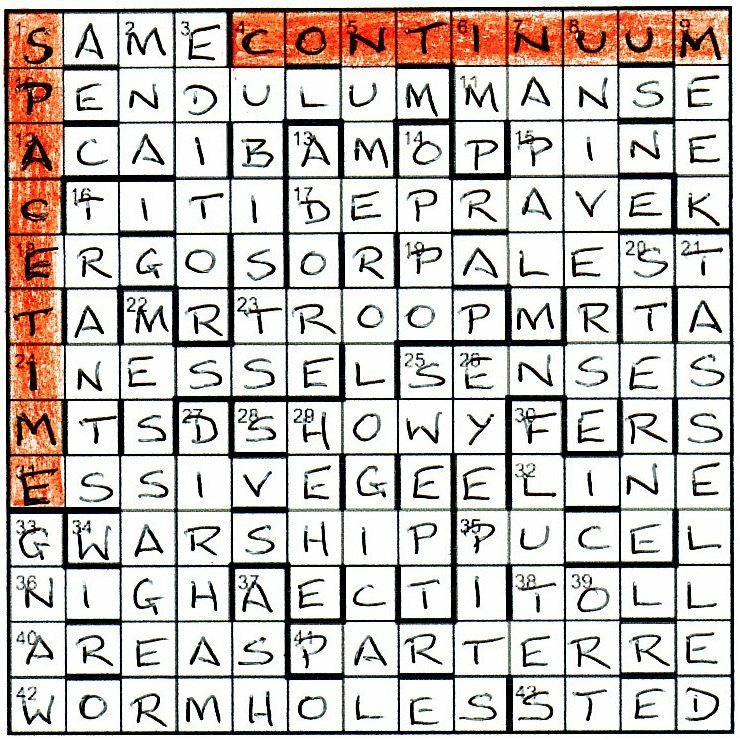 Of course, what wasn’t mentioned by the preamble was that there were many squares where letters clashed, but how they were to be resolved remained a mystery for well over an hour. That was when I finally solved 4ac Include moving uniform to end — education resumed (9) and was COUNT IN with the U moved to the end + ED (education) to give CONTINUED. This meant that it looked as though 8dn was UNIVERSE and 4ac could transform into CONTINUUM, which agreed with MEEK at 9dn. A final clue to comment on: 13dn Harry Potter aids regularly: he knew secret of philosopher’s stone (5), being ADEPT, an anagram of alternate letters: PoTtEr AiDs. All in all, these were a solid set of clues, and I’m sure there were others that were somebody’s favourite. The final task was to highlight two affected entries, which were thematic. 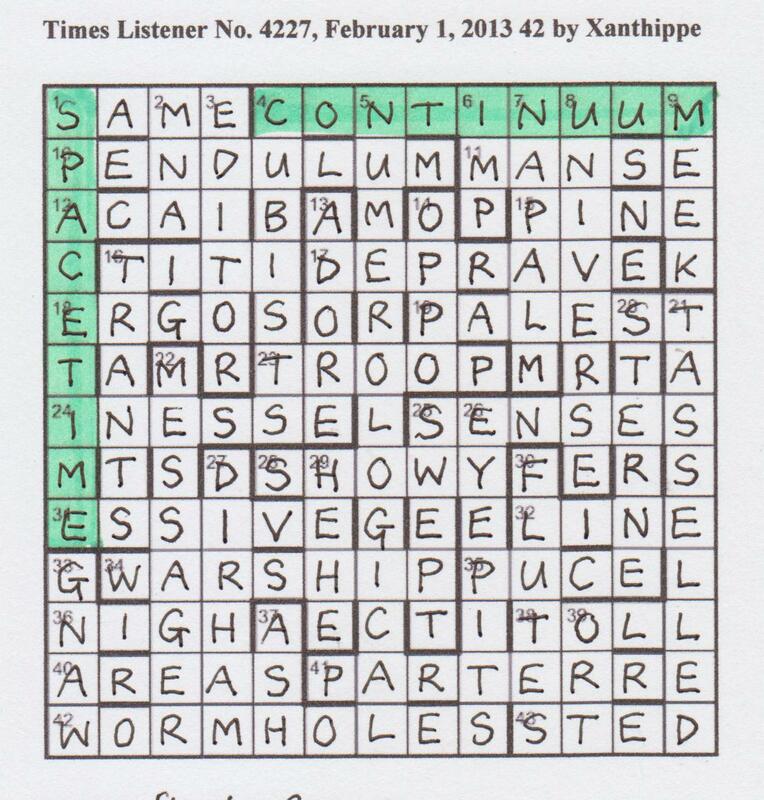 SPACE-TIME CONTINUUM were the two and brought Xanthippe’s enjoyable escape into the fourth (or fifth?) dimension to a neat finish. My all-time favourite Listener crossword was the one where Kea managed to chop the tree down, leaving the axe leaning against the stump. That was magic (though I am told that his safe-breaking, which was before my time, was even more spectacular). We can expect something special (and probably tough, as his usually are for us). Surprise, surprise! The clues are not as difficult as we expected. However, we solve for a few minutes and begin to wonder whether he is losing the place. ‘Punk movement’s humourless arrival (7)’ It has to be POGOING as that fits with all the other clues that are already in place in that corner. I search the BRB to see whether any obscure definition of GO can be ‘arrive’. (You never know!) But it can’t, so we insert POGOING and move on. The south-east corner yields quickly and again we are head-scratching. ‘Female name change in Reno, Nevada (6)’ A quick Internet check confirms that Nevada gives NV, so we change NVRENO and produce VERNON. It fits but that is a ‘Male’ name. What a lovely penny-drop-moment. So that is why it is called ‘Polar’. Naturally the changes will be symmetrical. That helps us work out the more difficult corner and we opt for HEAVY, changing to LIGHT. It seems that difficult 19d has to be BATHER which will, thus, become BATLER and with lovely phonetic symmetry, we have five new words ‘WHITE, TIGHT, BRIGHT, LIGHT and RIGHT’ – how very right that sounds. We have to run a check to confirm that only 16 of the solutions are not involved in the changes, and that we have managed to find a word changed to its polar opposite in each of those clues. As we do this, we find some amusing and subtle changes. ‘Partially roasted alive in Spenser’s case (5)’ led to the hidden solution STEDDE in ‘Partially roaSTED DEad’. In ‘One ruminates on seizing day Thatcher goes forward (7, two words)’, the Thatcher, or REEDER went backwards, seizing D(ay) giving a ruminant RED DEER. Wasn’t that lovely? ‘Everything occurring twice in Runaway Bride’s doings (7)’ was a fine example of an ongoing message-board discussion. Is it the clue or the adapted clue that should give the better surface reading. (Or, ideally, should it be both?) Here, it was the polar ‘Nothing’ (or O) that had to go into an anagram of BRIDE, giving DOOBRIE (or a thingummy or ‘doings’). What a superb clue – and it does seem to opt for the surface reading of the clue the solver sees (which, to my mind, makes sense). 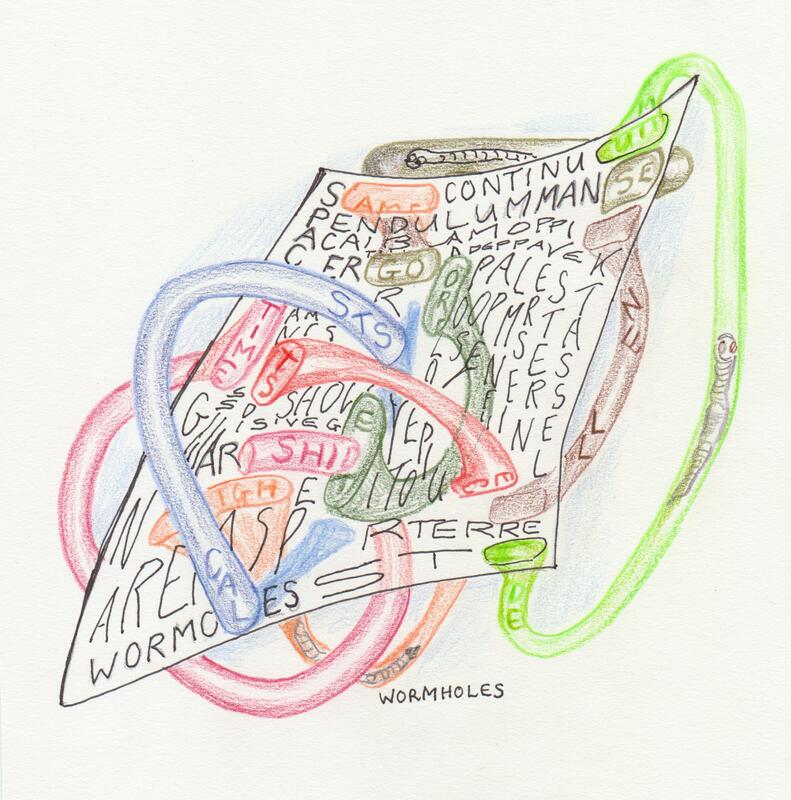 The entire crossword was a model of impeccable setting with an integrated end-game – no flailing or hopeless attempts to leap through impossible hoops (and no stray red herrings). Many thanks, Kea. As I saw that this week was Kea’s annual outing, I wondered whether we were in for a bit of playful fun or a gargantuan tussle with our editor. The preamble gave nothing away. 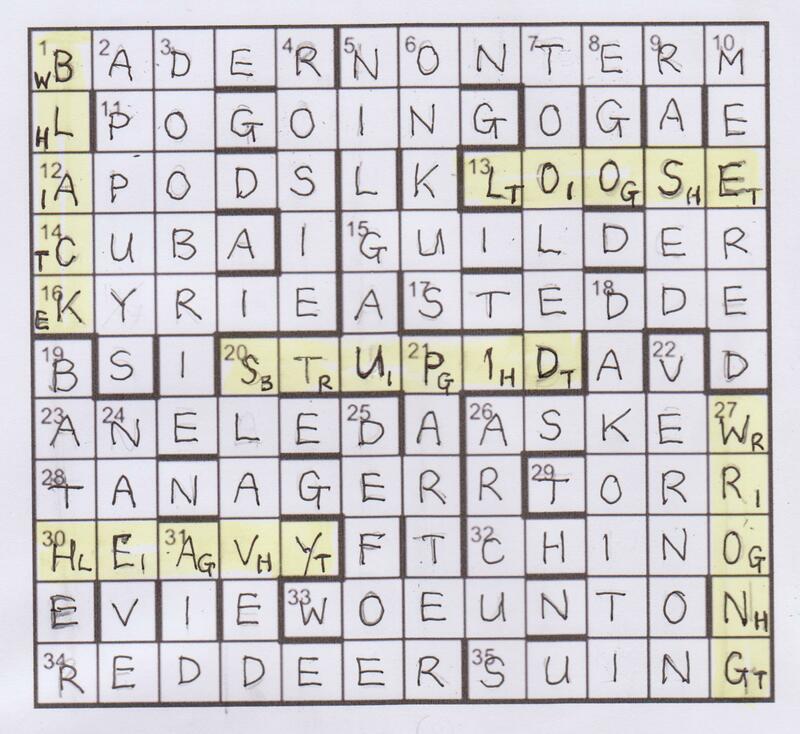 All we were told was that some entries needed to undergo a transformation after the initial grid was completed, and that a word in 16 other clues needed to be similarly changed before solving. My initial thought was that there could be anagrams or misprints involved, and then discounted both ideas as they would probably be too obvious. 1ac was BADER and 12ac was APODS, neither of which needed to have a word in the clue changed. 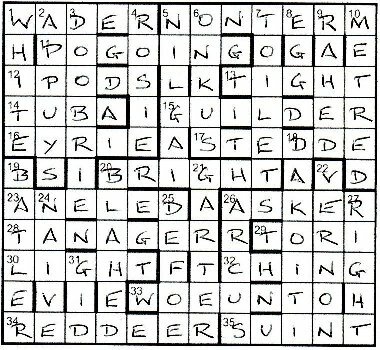 I was tempted to concentrate my efforts on the top left corner, but decided instead to do my more customary jaunt through all the clues in sequence. This proved somewhat depressing, as very few jumped out at me. 17ac Partially roasted alive in Spenser’s case (6) looked like it should be STEDAL, but that wasn’t in Chambers, at least not that I could see. Onto the downs, and 2 Overhaul resort retaining unsure supports (6) was A•P••• which looked like APPUYS, being SPA reversed around PUY or SPA around YUP all reversed. PUY doesn’t exist, and I failed to see how YUP meant ‘unsure’. (Well it doesn’t does it!) 4dn Diminutive girl, willowy perhaps, raising top as far as possible (5) was R•S•• and was probably ROSIE … OSIER with the R moved to the top. And so the penny dropped. It wasn’t the top that was raised, but the bottom, and the transformation that was required was to replace a word with an antonym. YUP meant ‘sure’ and that clue now made sense. Nice use of ‘trinity’ to drop first three letters from VALKYRIE. TEENAGER (adolescent) with EE (Early English) being replaced by A (absent). As in ‘a plague on both your houses’. BAR=maigre=meagre containing THE (my, as in ‘the wife’, I think); tricky! All that remained was to replace the five entries not touched by words with transformed clues with their antonymns: LOOSE became TIGHT, HEAVY became LIGHT, BLACK WHITE, WRONG RIGHT, and STUPID BRIGHT. Top marks again to Kea for a finely-crafted and thoroughly enjoyable puzzle.